Not only do advanced cryptocurrency exchanges strive for improving customer satisfaction but also for making financial tools as simple and available as possible. They include Exenium.io that provides new and unique solutions for popular messengers. 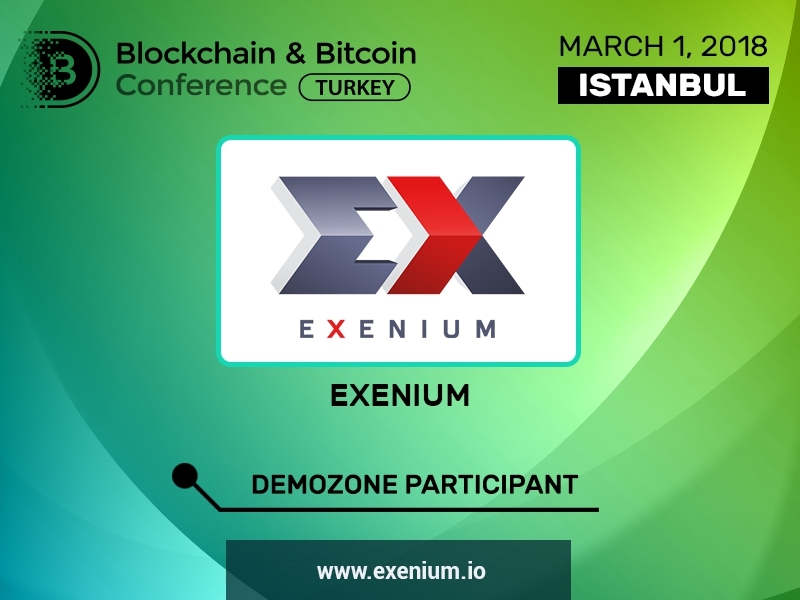 The Exenium.io cryptocurrency exchange, offering comprehensive financial tools for operation on such popular messengers as WhatsApp, Telegram, Facebook Messenger, and Discord, is a significant guest of Blockchain & Bitcoin Conference Turkey. The exchange works as a chatbot for the most popular and major messengers, which allows to conduct ICO/ITO right in the application. A convenient for investment portfolio management interface will allow to issue tokens. Besides, Exenium.io supports altcoins, including Bitshares, ERC20, and Waves. The exchange implementation in the form of chatbot makes cryptocurrency transactions simple and available, thus it can be interesting for businesspeople, traders, blockchain developers, and investors. A blockchain conference in Istanbul is one of the numerous events organized by Smile-Expo. Guests from various countries, who are either already engaged in the cryptocurrency and blockchain industry or going to join this business, will be able to discuss crucial market issues. Smile-Expo has been promoting innovative technologies by holding conferences, exhibitions, and other similar events for more than 12 years. The company is a platform for communication among businesspeople, developers, mass media, and enthusiasts. Company’s areas of interest include cryptocurrencies, blockchain, ICOs, robotics, vaping, 3D printing, eSports, space innovations and others. Exenium.io representatives will be glad to tell attendees registering to the conference how to make cryptocurrency and ICO operations as easy and reliable as possible using messengers. Therefore, the conference will feature an exhibition area convenient for negotiations and presentations.